After receiving a certificate of approval from the National Environment Management Council, Lake Victoria Mining Company plans to start gold mining in Mara Region, Tanzania. The company has now submitted an application to the Ministry of Energy and Minerals of Tanzania license department for a license to begin a medium scale gold mine operation at its Kinyambiga Project, Kanuga Village, Mara Region in North Tanzania. The Primary Mining License for the Kunaga site covers 3.45 square kilometres and according to the Tanzania Mining Act of 2010, the license should be granted for a maximum period of 10 years. 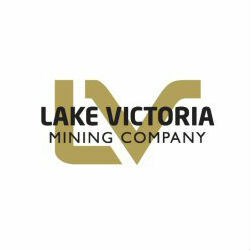 The Lake Victoria Mining Company focusses its acquisitions and exploration on gold mining in Tanzania, specifically the Lake Victoria Greenstone Belt and its common stock is traded on the Over the Counter Bulletin Board. Tanzania is still the 4th largest gold producer in Africa behind South Africa, Ghana and Mali and hosts a number of significant gold mining companies including African Barrick Gold, Shanta Gold as well as the Lake Victoria Mining Company.